Introducing our latest must-have collection, Diamonds from the Earth. Rough diamond jewellery is becoming increasingly popular all over the world. This unique idea of using diamonds in their rawest of form and creating the most naturally beautiful jewellery. This collection of diamonds show their unique natural inclusions and unfold the story of its formation. Diamonds are formed in the depths of the Earth’s mantle. It takes over a billion years for diamonds to crystallize. Our Diamonds from the Earth collection are ethically sourced rose cut diamonds, and just like a fingerprint, every piece in the collection has its very own characteristics making each one unique in size, inclusions, and colour, each piece comes certified. 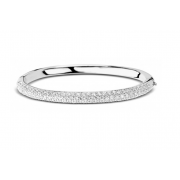 Our Diamonds from the Earth range is exclusive to Peplow’s and available to view at Peplow Jewellers, Worcester. If you would like to make an appointment with our diamond specialist please contact Jo Bourne on 01905 24026. Sapphire, the birthstone for September is symbolic of loyalty, nobility, sincerity & integrity and makes a stunning gift for this month’s birthday. This royal gem is famous for its blue colour, and is a variety of the mineral corundum. Sapphire occurs in almost every colour except red since red corundum earns the classification ruby. Orange and pink hues are known as fancy sapphires. Like diamonds, sapphires are assessed by the 4 C's, colour, clarity, cut and carat size. Here at Peplow's, we look forward to helping you select the perfect sapphire. Sapphire comes from the Greek word sappheiros meaning blue stone. In ancient Greece, kings and queens were convinced that blue sapphires protected their owners from envy and harm. For centuries, sapphire has been associated with royalty and romance and one of the most famous sapphire rings of all time has to be Kate Middleton's blue sapphire engagement ring. In 2010 Prince William gave Kate Middleton the ring that once was the engagement ring of the very famous and beloved Princess Diana. 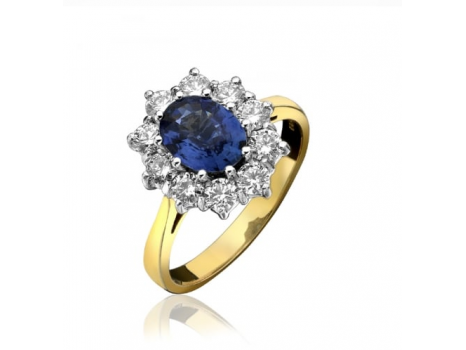 The ring fashioned in 18-carat goldset sapphire & diamond cluster. We have a large variety of sapphire jewellery items to choose from in store. One of our favourite sapphire pieces has to be the classic 18ct yellow and white gold sapphire & diamond cluster ring for £5250. If you would like to find out more about sapphires or you would like help choosing one of our stunning pieces please get in touch with us on 01905 24026 or visit us in store to discover the inspiring collection that we have to offer. August birthstone Peridot, the gem that makes everyone green with envy. With its brilliant lime green glow, Peridot is formed deep inside the earth's mantle and is brought to the surface by volcanoes. Peridot is the gem variety of the mineral olivine. Its chemical composition includes iron and magnesium, and iron is the cause of its attractive yellowish green colours. If you are born in the month of August, then Peridot is your assigned birthstone but it can also be used to celebrate a 16th wedding anniversary. Just like diamonds, peridot can be assessed using a grading system to determine the value - colour, clarity, cut and carat weight. When selecting a piece of peridot jewellery, make sure to check there are no eye-visible inclusions, a few tiny black spots may be present but they should only be visible under magnification. Peridot is a stunning gem and can be cut into various styles, such as ovals, pears, rounds, emerald cuts, cushion cuts, triangle cuts and marquise shapes. 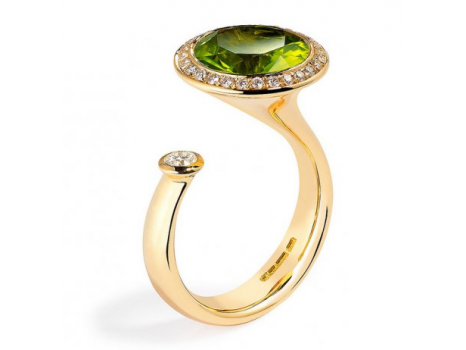 One of our favourite peridot pieces would have to be the Andrew Geoghegan 18ct yellow gold peridot satellite ring. Clean, bright diamonds surround the main, vibrant green peridot stone with a radiant lone diamond playing satellite. The satellite ring is a signature piece, its varied stone sizes, positions and asymmetry making for an extraordinary ring. The best way to care for your peridot is to clean it in warm soapy water as ultrasonic and steam cleaners are not recommended. 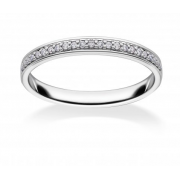 Alternatively, you can always visit us at Peplow's for a professional clean and check of your jewellery. 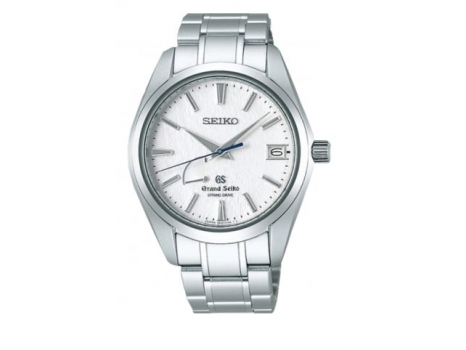 The Grand Seiko SBGA011G is a handsome dress watch, most commonly referred to as the ‘snowflake’ watch. Why? Because the dial is inspired by Snowfall at the Shizuoka-Shi where the master watchmakers work. Like snowflakes, each dial is unique as no two dials are cut the same. This watch is entirely made in Japan by master watchmakers, and it really does reflect their obsession with precision and perfection. The watch is incredibly lightweight and weighs in at 92 grams. This is because it is made with titanium. Titanium is an attractive alternative to stainless steel, making the watch lightweight and comfortable to wear. The case measures in at 41mm wide with sapphire crystal on the front and the display case back, preventing any glare. It’s not just the “snowflake” appearance of the dial that is impressive, the hour markers are three-dimensional and stand proud against the dial. The contrast of the blue second hand against the white looks not too dissimilar to a samurai sword as it hypnotically sweeps away in silence. Aside from the aesthetically pleasing attributes of the watch, it really is the technology behind it that makes it stand out from its competitors. Grand Seiko is renowned for their technical achievements and accuracy. Their watches are extremely well made and to the highest standard. This watch really is one of the most accurate out there; with a 72-hour power reserve, a watch wound by a mainspring and with one-second-a-day accuracy, a precision that only the finest electronic watches can deliver. The retail price for this watch is £5,500 and we are sure you will agree, worth every penny. The ‘snowflake’ watch comes presented in a beautiful dark blue box together with operating instructions and warranty pack. Last night the 89th Academy Awards took place at the Dolby Theater in Los Angeles, Montblanc was once again the choice of American and International Talent from the world of film. 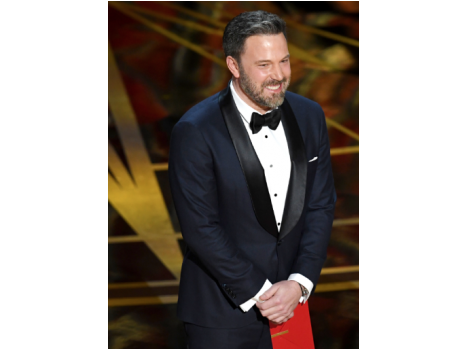 American actor Ben Affleck, presenter, wearing a Montblanc Star Roman Small Second “Carpe Diem” Special Edition (Ident: 113879) paired with Montblanc rose gold and onyx tuxedo studs and the iconic cufflinks (Ident: 113025). American Director Barry Jenkins winning Best Movie and Adapted Screenplay with "Moonlight" wearing a Montblanc Star Classique (Ident: 107072). American actor Chris Evans who was presenting at tonight's 89th Annual Academy Awards wearing a Montblanc Star Classique (Ident: 107309) paired with the Montblanc Vasco da Gama cuff links (Ident: 114342). Amethyst, the essence of the colour purple. Amethyst, with its beautiful shades of violet and indigo derives from the Greek word “methustos” which means “intoxicated”. Historically, amethyst was kept as a talisman as it was believed to counteract the effects of alcohol. Amethyst is traditionally used to celebrate a February birthday but is also used to celebrate the 6th and 17th year of marriage. 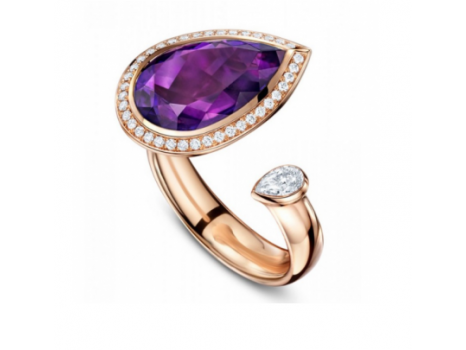 One of our favourite pieces of amethyst jewellery, is the inspirational Andrew Geoghegan Satellite Marquis Amethyst ring. 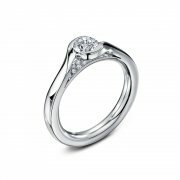 The design incorporates a sculptural form of fluid, sensual lines, the Satellite Marquis is a signature piece, its varied stone sizes, positions and asymmetry making for an extraordinary ring. Star of the show is a dazzling amethyst marquise stone, its unusual shape and cut echoed in the satellite diamond, for a modern jewellery masterpiece. Molly Brown’s birthstone bracelets are a must if you’re looking to start off your little girl’s jewellery collection. The February birthstone bracelet from Molly Brown has a beautiful genuine amethyst gemstone set in a sterling silver open back claw. Birthstone jewellery is a personal and thoughtful gift, and this simple yet sophisticated design is jewellery she will treasure forever. We have an extensive collection of amethyst jewellery, to include, rings, earrings and more, available in both silver and gold. Some 300 guests danced the night away at the Prince’s Trust 40h anniversary ball held this weekend at Sixways sponsored by Peplow Jewellers and Onbusiness Corporate Travel Services. With a glamorous ‘celebration’ theme, the Herefordshire and Worcestershire Prince’s Trust Development Committee welcomed guests to the sell-out event. 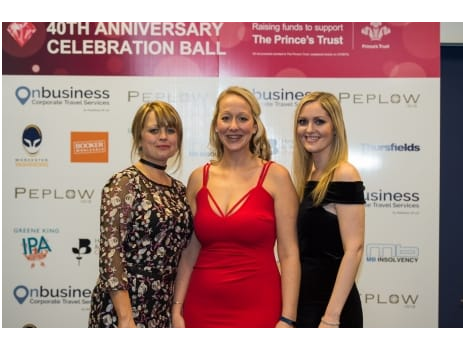 The evening raised £18,000 going towards an annual sum raised of £50,000 for the Prince’s Trust supporting their work in Herefordshire and Worcestershire. There was an added incentive for little ladies to dress up at this year’s Worcester Races Ladies Day. 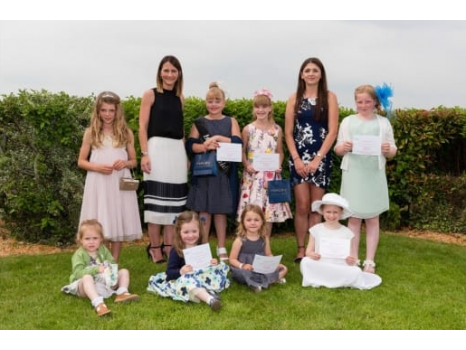 Eight lucky little lady racegoers had the opportunity to win some beautiful pearl jewellery from Peplow Jewellers. Olivia, from Worcester won the best-dressed little lady, winning an Alexis Dove kitten pendant. Jo Parnham of Peplow said ‘Peplow is delighted to sponsor the best-dressed little lady for the fourth year running. All the little ladies look beautiful. Every year it gets harder to pick an overall winner'. 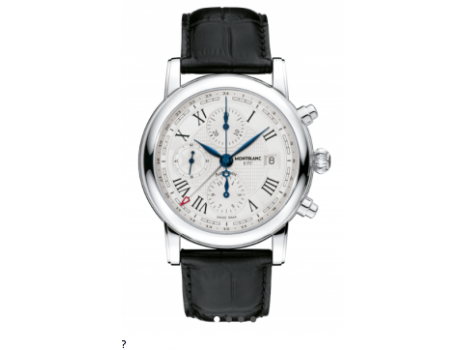 More than 300 years of history have combined to bring luxury brand Montblanc to Worcester's leading jeweller, just in time for discerning shoppers to surprise their dads with the perfect gift for Father's Day. Peplow independent jewellers has been providing aspirational pieces for nearly 200 years, while Montblanc was established more than a century ago. Now the luxury pens, watches and leather goods are part of Peplow's expanding gents' collection at their newly refurbished High Street store. Montblanc pieces will be treasured forever for their quality, technology and traditional craftsmanship and are endorsed by Montblanc ambassador and award-winning Hollywood star Hugh Jackman. Peplow company director Francis Peplow says: "We are delighted to announce this partnership with Montblanc. The quality of the products they create, mixed with their incredible history, perfectly complements our brand and existing portfolio". Peplow, Worcester's premium jeweller, also stocks high-end brands Omega, Gucci, Longines, Links of London and Georg Jenson. Peplow is open Monday to Saturday 9.30am to 5.00pm. A precious and unique sculpture can be seen by the public for the first time at a Worcester jewellers. The hand-crafted quartz macaw mounted on a tourmaline rock was a gift to Richard Peplow, of Peplow Jewellers in Worcester and Stourbridge. Mr Peplow played an integral role for 40 years at the World Jewellery Confederation as a British delegate and has just announced his retirement from the organisation. 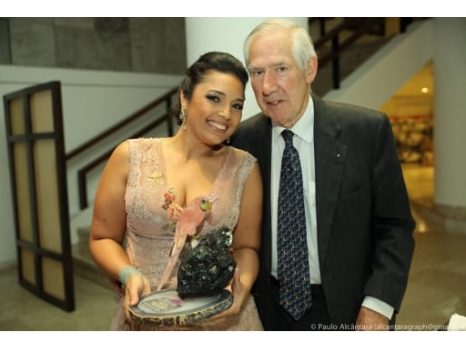 Created by sculptor Karina Sena, whose family has been mining, sculpting and selling gemstones for nearly 50 years in their native Brazil, the piece was presented by the president of the CIBJO, Dr Gaetano Cavalieri at a gala dinner in the country. Throughout his time with the federation, Mr Peplow was instrumental in it joining the UN's central platform for international sustainable development - the UN Economic and Social Council. He said: "It's been a great honour to serve for so many years and I'm incredibly moved to be given such a prestigious gift". 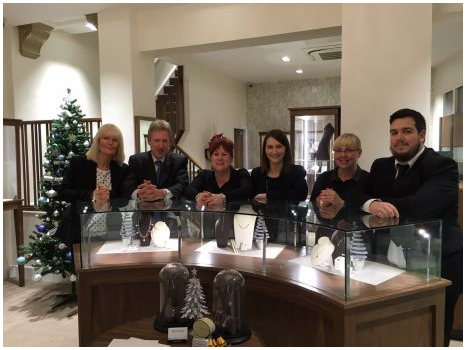 The sculpture can be seen by the public for a limited time at Peplow jewellers' newly refurbished Worcester store. Peplow, on the High Street, is the city's premium jeweller, stocking luxury brands including Omega, Gucci, Longines, Links of London and Georg Jensen. 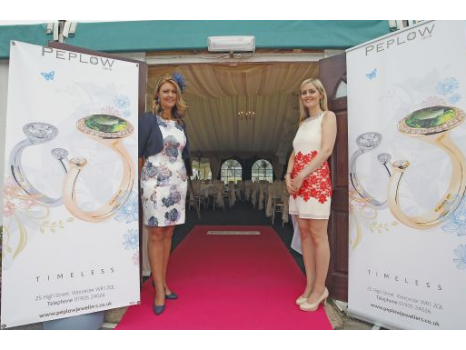 Peplow of Worcester has unveiled its new luxury look in time for Christmas. The store has new exclusive areas dedicated to high-end jewellery, an extensive range of fine jewellery collections plus a range of timepieces not to be found anywhere else in the city. For something special, Peplow has a bespoke design service enabling you to create your own unique piece of jewellery. Christmas Eve is one of the most popular times of year for people to propose - so should you be thinking of asking that all-important question, Peplow will look after all you need to make your engagement the most magical moment. Peplow is one of Worcestershire's oldest businesses with nearly 200 years of expertise and we ensure the needs of every single customer are catered for in the most discreet and personal of ways. Founded in 1818 by William Peplow, the store is still independent and family-run by managing director and sixth generation Francis Peplow who says 'We are very proud of the refurbishment and feel that we have been able to maintain the heritage of Peplow in this new and luxurious setting. 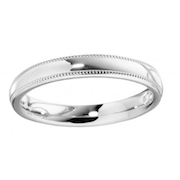 Our customer feedback has been incredibly positive will all who’ve visited us saying their experience choosing a piece of fine jewellery is second to none'. Peplow is Worcester's premium jeweller stocking top class brands Omega, Gucci, Longines, Links of London and Georg Jenson. Peplow is on Worcester high street and is open in the run up to Christmas, Monday to Saturday 9.30am to 5.00pm and Sunday 10.30am to 4.00pm. Ladies Day at Worcestershire County Cricket Club not only saw 300 ladies looking elegant and sparkling, but it also raised £4,000 for the Prince’s Trust in Worcestershire. Throughout the day, local ladies supported the work of the Prince’s Trust in Worcestershire with various fundraising organized by the cricket club and by Peplows Jewellers who sponsored the day. Ladies bought raffle tickets to win prizes donated by local firms and stall holders donated a percentage of their proceeds. The Peplows’ champagne after party at The Quay also saw £1 from every bottle or glass of prosecco or champagne donated to the charity. Dawn Owen was voted ‘Best dressed lady’ by WCCC cricketer Ben Cox whilst Louise Brook won the Peplows ice sculpture competition. She guessed that it would take 4 hours 57 minutes for the ice sculpture to melt to win a diamond ring from Peplows worth £1,500.